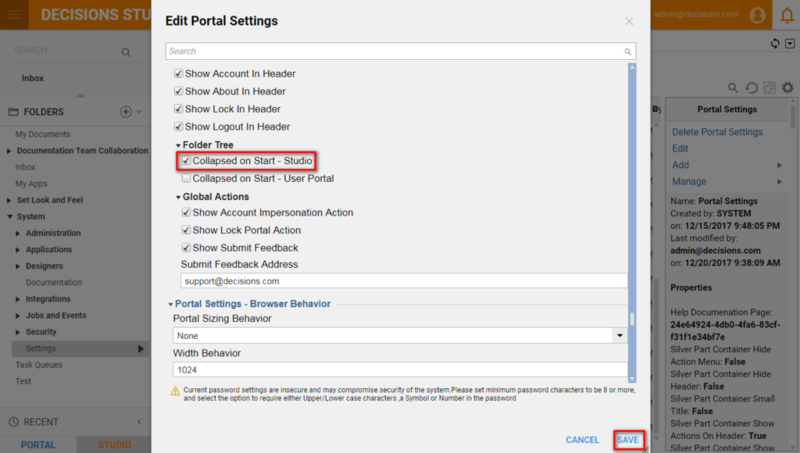 The Portal has options for allowing the Administrator to configure the portal to show or hide the folder tree on startup. By default, the folder tree display is on and therefore the folders list on the left displays. The administrator can disable this feature. When the feature is disabled, the user can still access the folder tree by clicking the Folder icon in the toolbar at the top of the screen. To hide the folder tree by default upon startup of the Portal, navigate to System > Settings	. 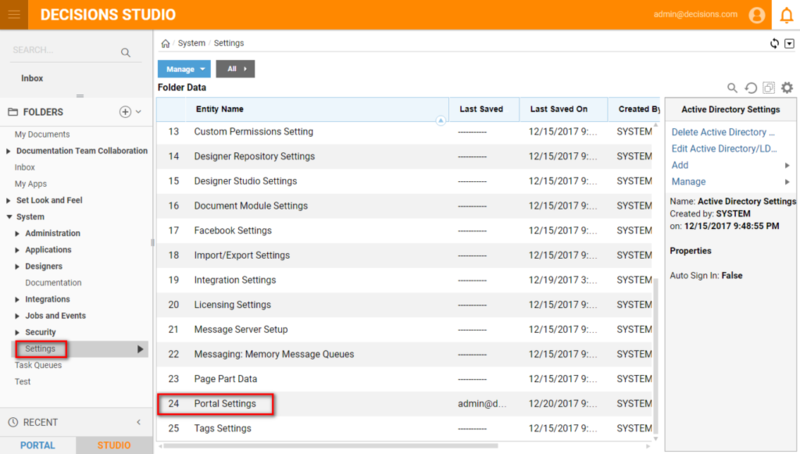 From the Folder Data	list, open Portal Settings	. Under Portal Settings	, uncheck the checkbox for Show Folder Tree At Startup	.